Today Ann Rabson is best known for her hard boogie-woogie and barrelhouse piano playing. Ann is a multi Handy Award nominee and Blues Music Award Nominee. 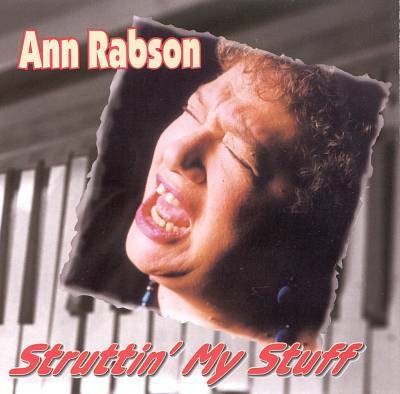 The sixteen songs on "Struttin' My Stuff" include great covers and originals that add up to all Ann Rabson. Released in 2000. Blues historian and founding member of Saffire the Uppity Blues Women, Ann Rabson's second solo effort, Struttin My Stuff, finds her doing just that. She is unaccompanied on the majority of these 16 tracks, effortlessly switching between piano on seven tracks, guitar on three (including her first recorded attempt using electric guitar), and three featuring the rhythm section of Richard Crooks on drums and Marty Ballou on acoustic bass. The music encompasses an emotional and dynamic display of vitality while her choice of cover versions instantly reveals where her heart lies: Amos Milburn's "Let Me Go Home, Whiskey," Chuck Berry's "School Days," and the New Orleans romp of Eddie Bo's "Check Mr. Popeye." 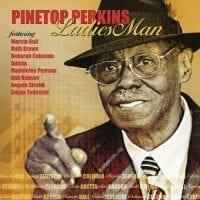 Struttin My Stuff is available on the American roots label M.C. Records.